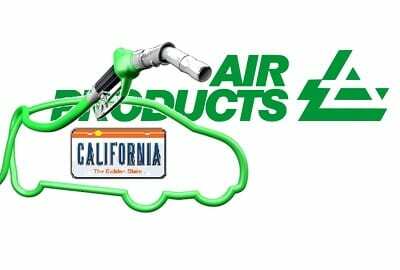 Air Products, a leading developer of hydrogen fuel technology and supporter of infrastructure projects, has announced that it will be opening three new hydrogen fuel stations in California later this month. The three new stations will be making use of the company’s SmartFuel technology, which is being used in several of the station’s other fueling stations. The new stations are part of a larger endeavor from Air Products involving the development of 25 other hydrogen stations that are also being built in the state. The hydrogen stations will be open to the public later this month, prepared to serve those with fuel cell vehicles. These vehicles are still quite rare in California, despite automakers working to promote the capabilities of these vehicles and make them more attractive. California has become a prominent clean transportation market, but still lacks the hydrogen fuel infrastructure needed in order for fuel cell vehicles to find any significant success. Companies like Air Products are looking to change this in the near future. October 8 was National Hydrogen and Fuel Cell Day in the United States, a time wherein the capabilities of fuel cells and the environmental and economy benefits of hydrogen fuel were celebrated. Several organizations, including Air Products, took the opportunity to announce new initiatives to support the fuel cell industry, especially as the federal government begins to show more aggressive support for these energy systems and provide funding to improve fuel cell technology. California is expected to have the most expansive hydrogen fuel infrastructure in the country in just a few short years. Several companies, including automakers, are investing in the development of new hydrogen stations in the state in order to make it an attractive fuel cell and clean transportation market. These investments are expected to increase as the state government continues to show support, through policy and funding, for fuel cell technology.